There is no denying that wallpaper is back in vogue big time. 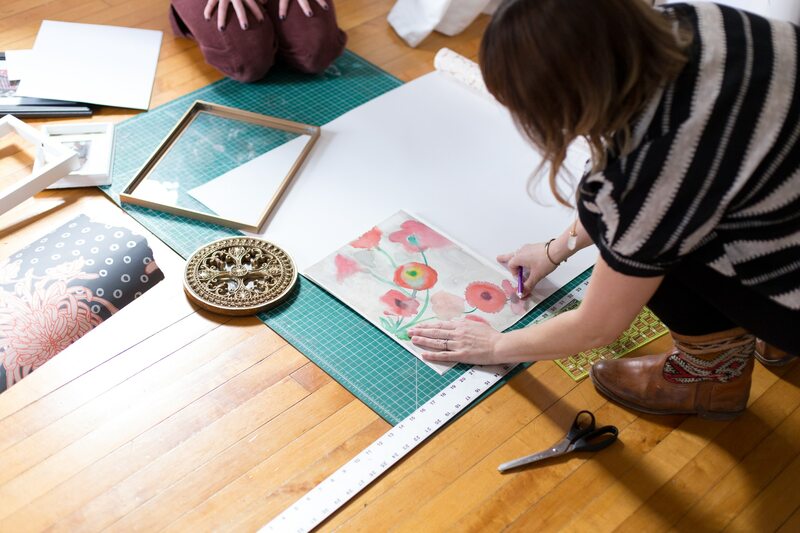 This month on #WomenWhoMake, I featured artisan textile and wallpaper designer Erin Minckley Chlaghmo of Relativity Textiles. 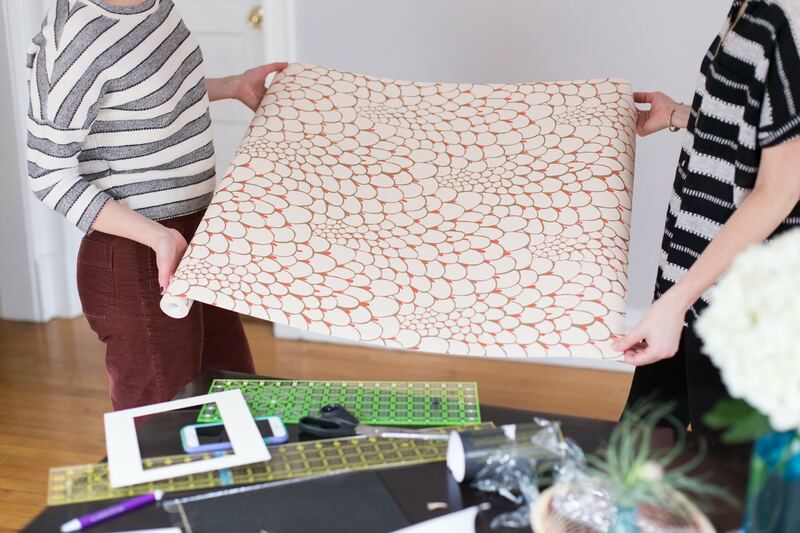 Erin’s papers make you want to do something with wallpaper in your home immediately! (at least they make me feel that way). And amazing wallpaper lines are popping up everywhere. See this post from last year on my favorite wallpaper lines. I do frequently hear from friends and clients that wallpaper scares them. It feels costly, permanent and likely to go out of style. 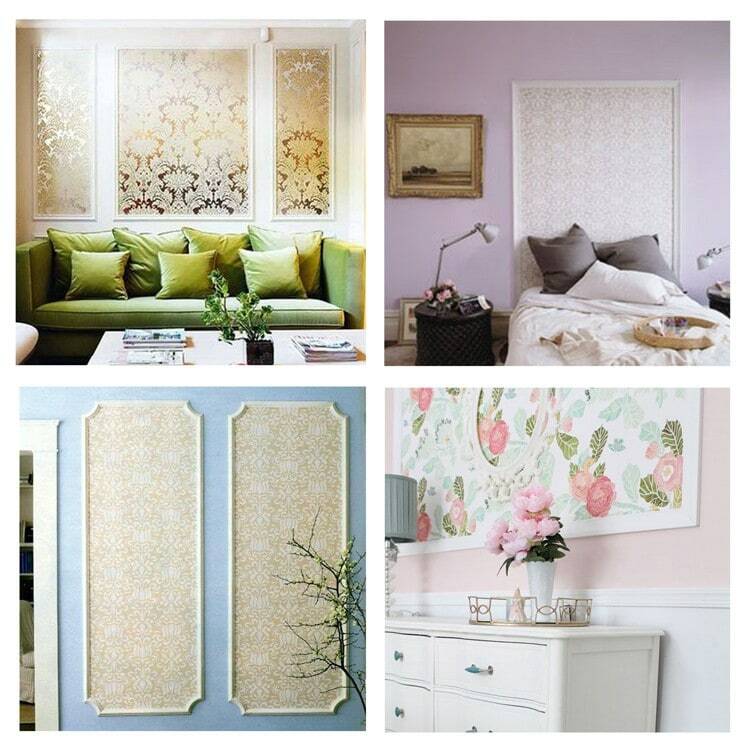 Below are my favorite ways to welcome wallpaper into your home. 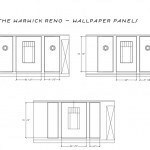 The last item we will explore as a DIY wall art project – there are so many great ways to get the high impact color, pattern and texture wallpaper offers into your home. Don’t be scared! 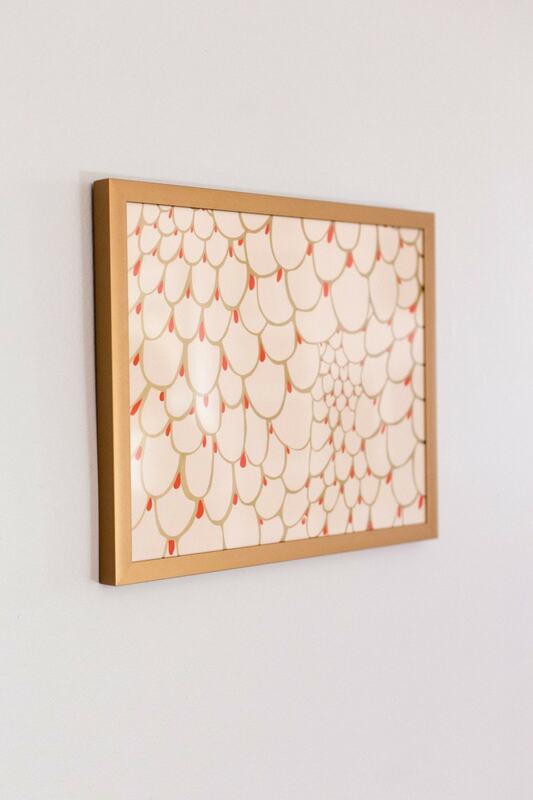 Love this collection of framed papers with white borders from Atlanta Homes magazine. See below for links to create wallpaper panels. These are my favorite ideas! Images via Apartment Therapy, & Welcome to the Mouse House. 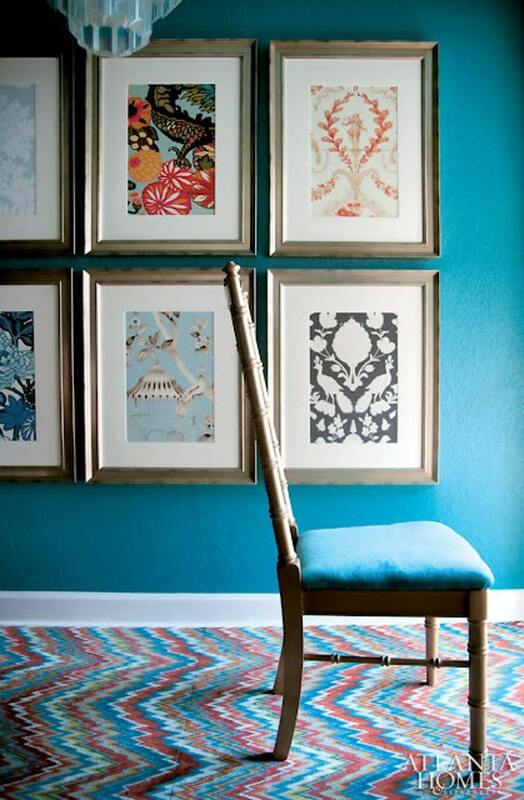 Use wallpaper in smaller spaces like the entry and powder room. Use wallpaper as a feature wall. This works best in a bedroom, usually on the wall with the headboard. Use wallpaper above chair rail only. Works very wall in hallways and dining rooms. Frame wall paper or create wall paper panels and create high-impact art work, without the hassle of installing wallpaper. The steps are kind of a no-brainer but I’ll give you some tips! Decide if you want to fill the entire frame with wallpaper, create the mat out of wallpaper (see pictures below for examples) or just use paper inside of mat (see Atlanta Home example above). Depending on your desired outcome you could mix this up on a gallery wall or stick to one look. 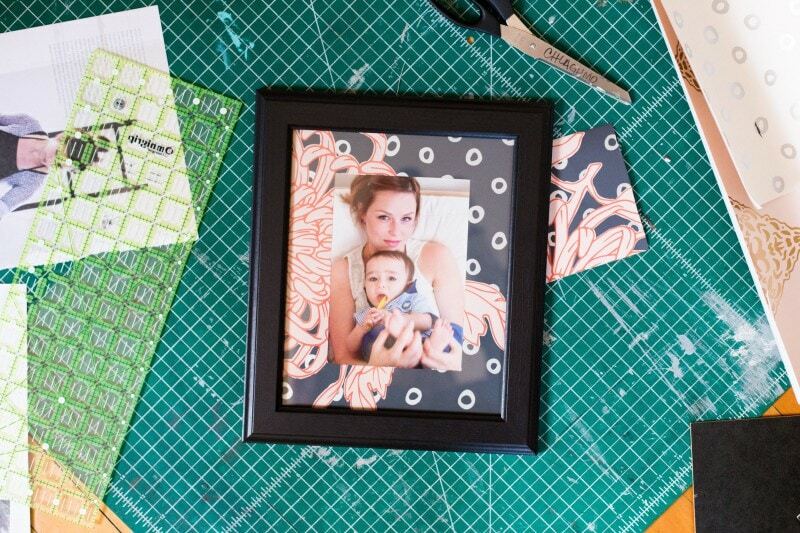 Use the frame and mat to help guide your cutting and sizing. If you are using mats a bit of tape on the back of paper/images can help keep things perfectly aligned. Creating the wallpaper panels is a little more involved, but does not look too difficult! I have not tried it myself, but cannot wait for the opportunity to give it a go! If it comes up with a client this year, I’ll be sure to blog about it. For now, if you’re interested this tutorial from Hunted Interior looks great! 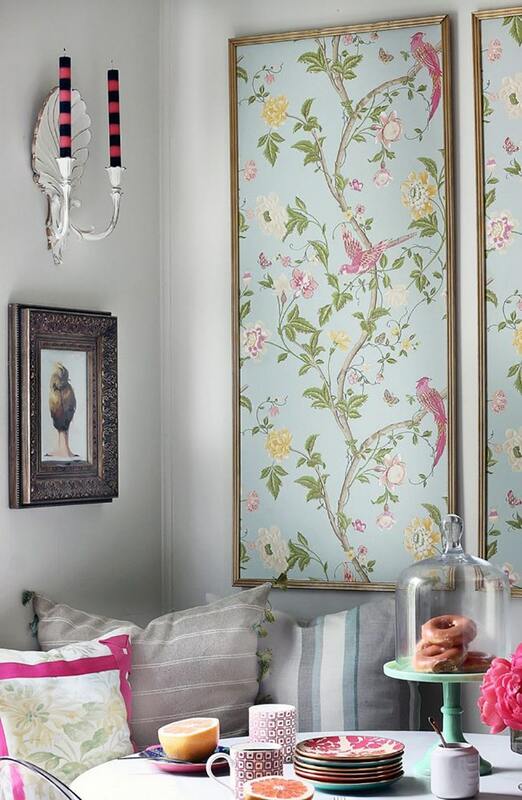 Wallpaper panels by blogger Hunted Interior.